Are you looking for a truck to get the job done? Well, Ford has some of the most reliable and powerful trucks in the market.  At Team Ford, we have a great selection of trucks ranging from the Ford F-150 to the Super Duty trucks (Ford F-250, Ford F-350, and Ford F-450). If you are looking for a Ford truck then you are definitely looking for great capacity and power. So, without any doubt, you are asking yourself this question: “What is the Ford truck with the highest towing capacity?” We are here to help you answer this question, so read on. Most Ford trucks have similar basic designs and capabilities. However, how much your vehicle can do depends on how you build it. Ford trucks have different body styles: Regular, SuperCab and SuperCrew- these determine the number of seats and doors and door type. They also have different box sizes: 5-½’, 6-½’ and 8’ boxes that define the length of the pickup truck beds. Other things that differ between truck vehicles are the engine type, the drive, and the transmission system. All these combinations determine how strong a truck will be and therefore how much they are able to tow. As seen in the table below, when properly built, the Ford trucks have incredible towing capacities that will help make your job easier. However, the Super Duty Ford F-350 and Ford Ford F-450 have the highest maximum towing capacities of 21,000 pounds. That is really incredible! If you do the math, this means that these trucks are capable of towing a little bit more than 9 horses. Yes, that is absolutely amazing! And what about gooseneck/5th-wheel towing? Gooseneck or 5th-wheel towing is different from conventional towing as the hitch is placed in the center of the pickup bed which gives the truck more power. For this reason, the gooseneck towing capacity is higher than the conventional towing capacity. The Ford truck with the highest 5th-wheel towing capacity is the Super Duty Ford F-350 with 32,800lbs which is equivalent to carrying almost 15 horses. However, depending on your towing needs, the Ford F-250 or F-450, with towing capacities of 18,600lbs and 35,500lbs respectively, will still be able to get the job done. And maybe you still have more questions about the Ford trucks. “Which is the Ford Truck has the most passenger space?” or “How much does a Ford F-150 cost?” or “How to make your truck stand out?” We are here to help you find the ideal truck here at Team Ford. Come to our dealership in Edmonton to get your Ford truck, whichever best suits your needs.